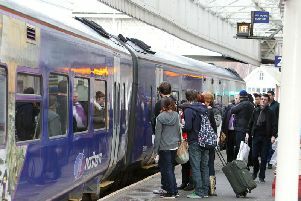 Train passengers in Brighouse are facing delays of up to an hour. Network Rail have confirmed that the First TransPennine Express between Liverpool Lime Street / Manchester Piccadilly and Newcastle / York / Scarborough, Grand Central trains between Bradford Interchange and London Kings Cross and Northern Rail services between Huddersfield will be delayed. A problem with line-side equipment at Mirfield is causing delays of up to 60 minutes between Huddersfield / Brighouse and Wakefield Kirkgate / Leeds. These delays are expected to continue until approximately 4pm.